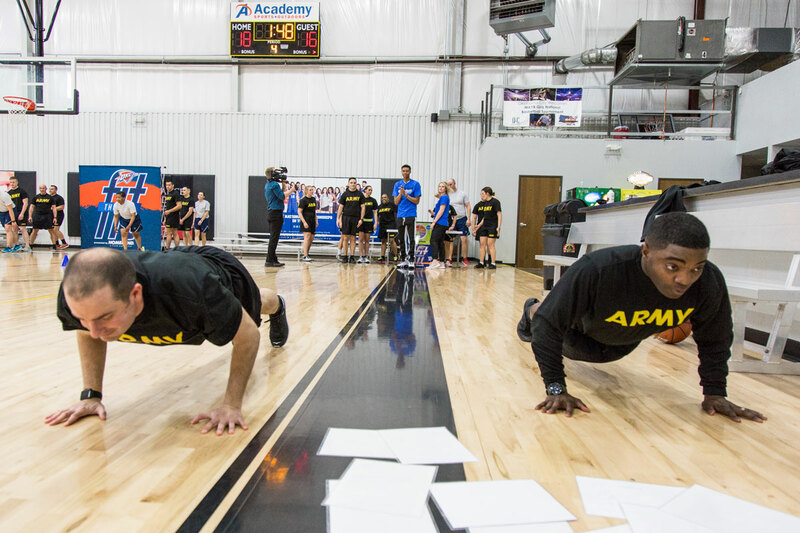 The court rippled like an ocean when 40 members of the Oklahoma Army and Air National Guard dropped to the floor for push-ups. Amongst them was Thunder swingman Corey Brewer. Just like everyone planked down on the court, he pumped out 10 reps with the austerity of cylinders firing. 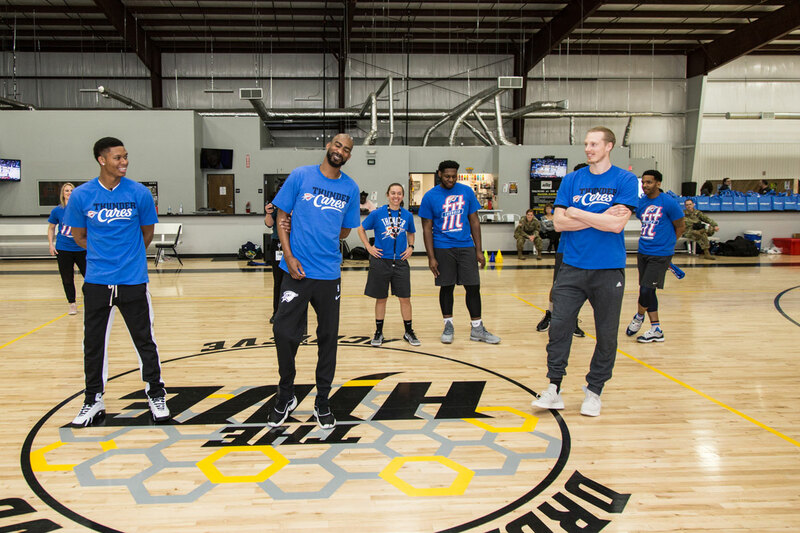 Last week at the Hive in Edmond, Brewer along with teammates Kyle Singler and PJ Dozier joined the soldiers during a Thunder Fit Clinic, presented by Homeland. High fives and fist bumps were contagious when the players took part in shooting and ball-handling drills, encouraging one another and feeding off the excitement of the day. 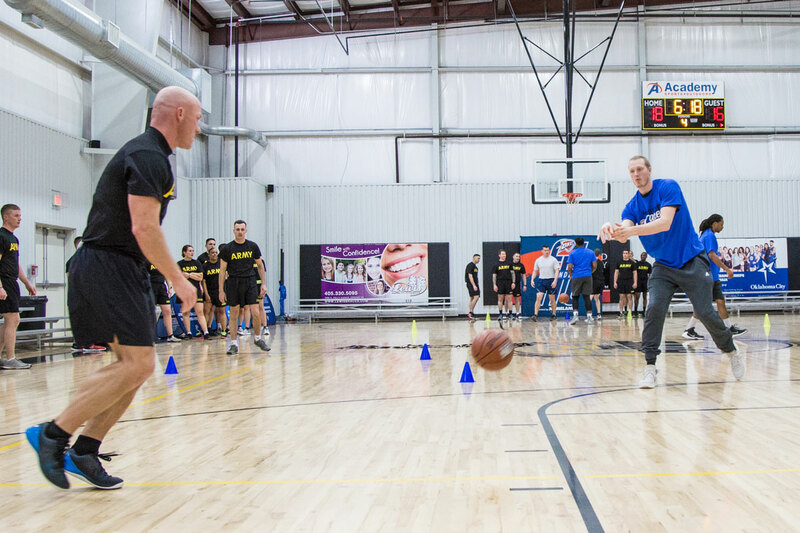 For Airman 1st Class Joshua Smith, seeing the Thunder trio provided the extra motivation when he exploded off the blocks toward a stationary, toothy-grinned Brewer who held the ball out during a dribbling drill. Racing around the cones, Smith went to the cup for a layup ending with an emphatic atta-boy high-five from Brewer. Whoops and hollers all around. At another station, Singler whipped bounce passes for backdoor cuts while dishing out pointers as each participant retreated back to the line. 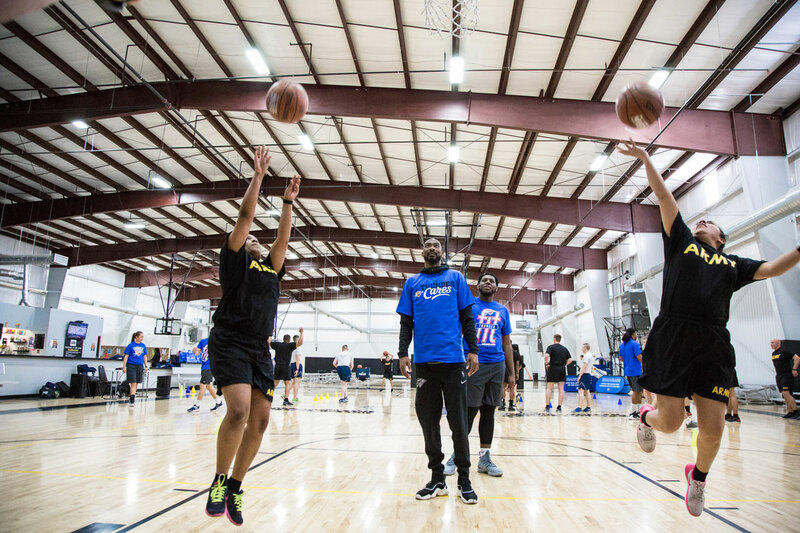 Echoing those sentiments, Brewer understood how special this day was for many of the men and women sweating through the drills who have never worked with an NBA player before. So between the pep talks and banter, Brewer took advantage during brief downtimes to get to know some of the soldiers. And Dozier followed suit at the nutrition station, volleying meal ideas while sharing his eating and fitness regimen to the attentive eyes before him. Brewer, Dozier and Singler capped an action-packed, fun-filled afternoon with a Q&A session. While they fielded questions about their respective basketball journeys, the trio delivered a message centered on perseverance and self-improvement.